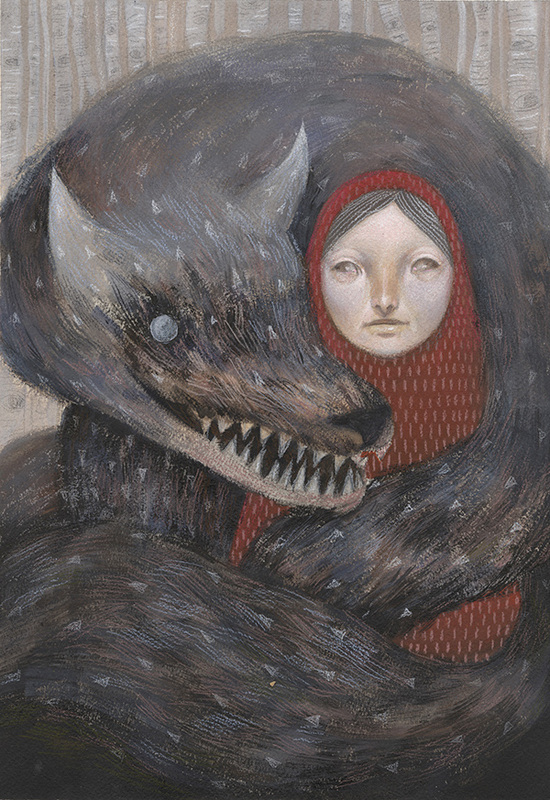 An illustration based off the children's fable, Little Red Riding Hood. 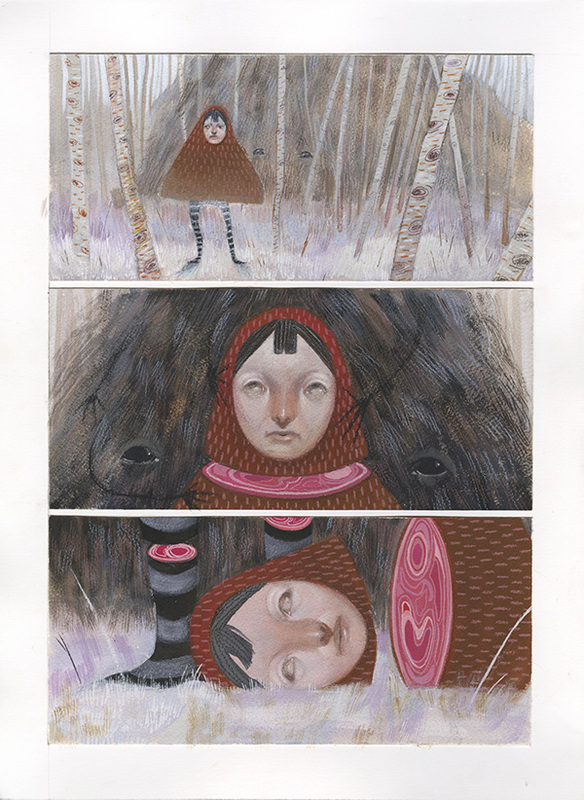 A short comic page inspired by the Little Red Riding Hood illustration and story. A illustration for the story Little Red Riding Hood and a comic page inspired by the illustration.